On May 24th, 2016, an unsolicited package arrived at the purported “offices” of a purported “production company” in New Delhi, India, called WPoV Films. 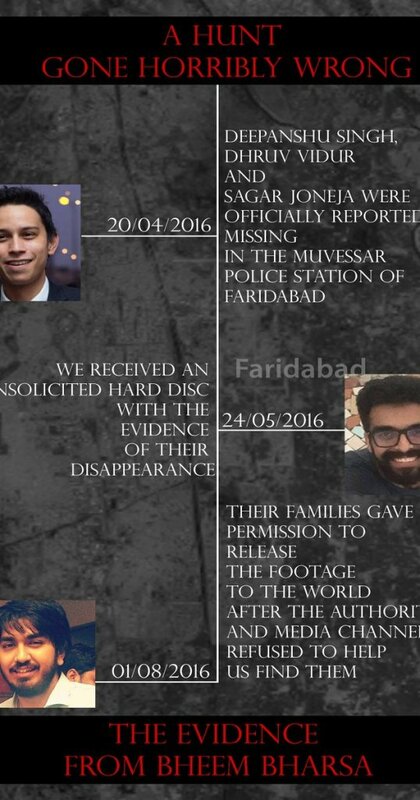 The package contained a hard disc — as opposed to a flash drive — that featured disjointed and frankly mangled footage shot by an amateur filmmaker named Dhruv Vidur who, along with friends Sagar Joneja and Deepanshu Singh, headed out to a semi-remote wilderness area known variously as Faridabad and/or Bheem Bharsa in order to ascertain the truth behind stories that Dhruv’s father, Bhushan, had related to him since he was a boy about a (probably) mythical beast that haunts and terrorizes the region. The trio promptly disappeared and haven’t been seen, or heard from, since. 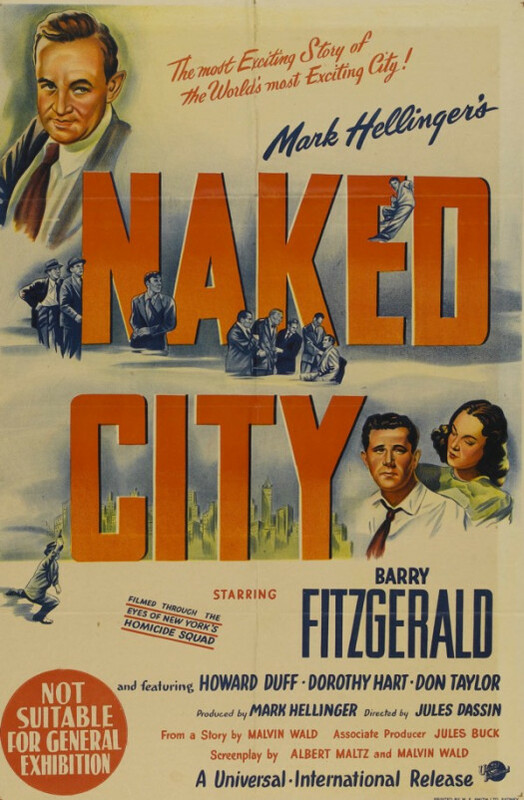 Producer Mark Hellinger, who brought you the film noir classics THE KILLERS and BRUTE FORCE , traveled to the mean streets of New York City to shoot NAKED CITY, along with director Jules Dassin and a solid cast led by Barry Fitzgerald. The movie, though fiction, is shot in docu-drama style, with Hellinger himself providing narration throughout. It was an attempt to do something boldly different with the genre, and it succeeds thanks to the talents in front and behind the cameras. Based on a novel by veteran sports writer Dan Jenkins, Dead Solid Perfect takes an episodic look at a year on the PGA tour. Kenny Lee (Randy Quaid) is a good but aging golfer who wants to finally have his time in the spotlight. His sponsor (Jack Warden) is an eccentric old racist. His girlfriend (Corinne Bohrer, who has a lengthy scene where she walks naked down hotel hallway while carrying an ice bucket) isn’t looking for a commitment while his wife (Kathryn Harrold) is getting sick of his emotional immaturity. Kenny Lee just wants to hit the perfect shot. An early HBO production, Dead Solid Perfect is one of the best movies ever made about pro golfers, not that there is really much competition. Eschewing the pretentious blathering that has marred other golf films (like The Legend of Bagger Vance), Dead Solid Perfect focuses on the day-to-day life of aging athletes who have never had to grow up. This was Dan Jenkins’s specialty and Dead Solid Perfect feels authentic in a way that many other sports film, like Bagger Vance, do not. Randy Quaid, long before he had his widely publicized breakdown and started making videos about the “star whackers,” is perfectly cast as Kenny. Sadly, Dead Solid Perfect has never been released on DVD or Blu-ray but it will entertain any golf fan who owns an operational VCR. Of course, the best movie about golf is still Caddyshack. Not surprisingly, there was a lot of speculation about what led to the Hindenburg (which has successfully completed 63 flights before the disaster) exploding. The most commonly accepted explanation was that it was simply an act of God, the result of either lightning or improperly stored helium. Apparently, there was no official evidence found to suggest that sabotage was involved but, even back in 1937, people loved conspiracy theories. And really, it’s not totally implausible to think that the Hindenburg was sabotaged. The Hindenburg was making its first trans-Atlantic flight and it was viewed as being a symbol of Nazi Germany. One of the ship’s passengers, Captain Ernest Lehman, was coming to the U.S. in order to lobby Congress to give Germany helium for their airships. With Hitler regularly bragging about the superiority of German industry, the theory was that an anti-Nazi crewman or passengers planted a bomb on the Hindenburg. Since no individual or group ever stepped forward to claim responsibility, the theory continues that the saboteur must have perished in the disaster. At the very least, that’s the theory put forward by a film that I watched earlier today, the 1975 disaster movie, The Hindenburg. Ritter is assigned to work with Martin Vogel (Roy Thinnes), a member of the Gestapo who is working undercover as the Hindenburg’s photographer. Tt soon becomes obvious that he is as much a fanatic as Ritter is reluctant. Vogel is a sadist, convinced that every Jewish passenger is secretly a saboteur. Thinnes is chilling in the role. What makes him especially frightening is not just his prejudice but his casual assumption that everyone feels the same way that he does. Anyway, despite all of Ritter and Vogel’s sleuthing, it’s not much of mystery because it’s pretty easy to figure out that the saboteur is a crewman named Boerth (William Atherton). Having seen Real Genius, Die Hard and the original Ghostbusters, I found it odd to see William Atherton playing a sympathetic character. Atherton did okay in the role but his attempt at a German accent mostly served to remind me that absolutely no one else in the film was trying to sound German. Anyway, the main problem with The Hindenburg is that it takes forever for the airship to actually explode. The film tries to create some suspense over whether Ritter will keep the bomb from exploding but we already know that he’s not going to. (Let’s be honest. If you didn’t already know about the Hindenburg disaster, you probably wouldn’t be watching the movie in the first place.) The film probably would have worked better if it had started with the Hindenburg exploding and then had an investigator working backwards, trying to figure out who the saboteur was. However, the scenes of the explosion almost make up for everything that came before. When that bomb goes off, the entire film suddenly switches to black-and-white. That may sound like a cheap or even sensationalistic trick but it actually works quite well. It also allows the scenes of passengers and crewmen trying to escape to be seamlessly integrated with actual footage of the Hindenburg bursting into flame and crashing to the ground. The real-life footage is still shocking, especially if you’re scared of fire. Watching the real-life inferno, I was again shocked to realize that only 36 people died in the disaster. In the end, The Hindenburg is flawed but watchable. George C. Scott was always at his most watchable when playing a character disappointed with humanity and the real-life footage of the Hindenburg disaster is morbidly fascinating.